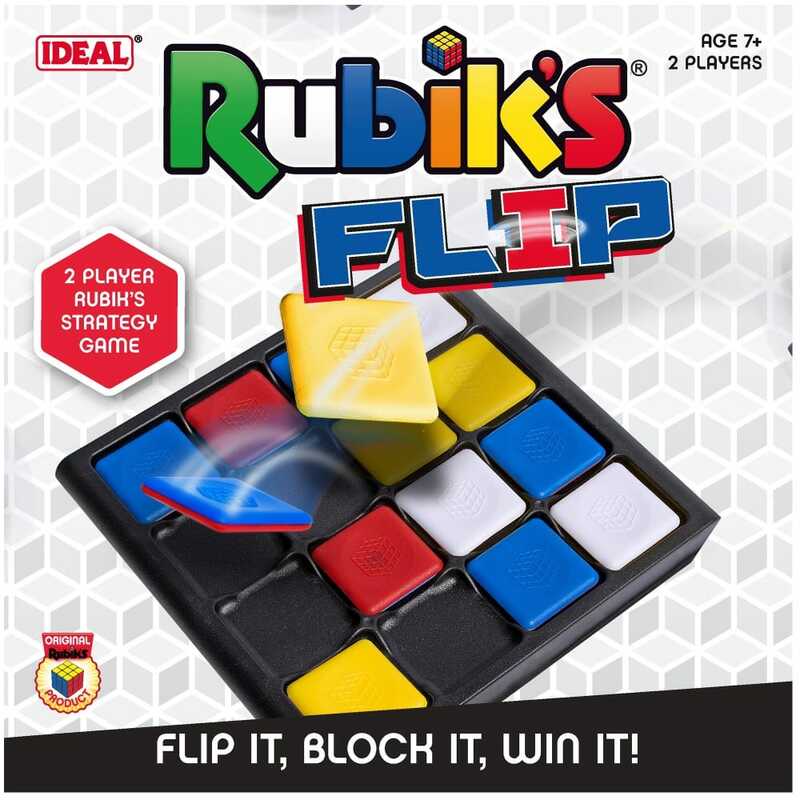 Rubik’s Flip is the fast-moving strategy game with only 8 moves per player! Place a tile into the grid then flip one of your opponent’s, it sounds simple but is a challenge to master and the winner is the first player to place 3 tiles of the same colour in a row which cannot be flipped. Contents: game board (folds up for easy storage), 8 red/blue tiles, 8 yellow/white tiles and instructions. A bit about the brand: Since 1907 Ideal have been making and branding games and toys for all the family. With some well known classics to up and coming innovative games, there is sure to be something to entertain the family.